Marketers Adapt to Digital Customer Trends for Holiday Shopping Season: Over the last few years, technology has truly revolutionized retail - Black Friday and the holiday season exemplify that change better than any other time of year. Now, marketers must reassess their strategies as consumers spend increasing amounts online ahead of the shopping weekend in order to capture the online shopping trend. As of late, Black Friday and Cyber Monday have experienced a change in spending patterns, with the Adobe Digital Index predicting that $2.6bn – an increase of 15 percent – will be spent on Cyber Monday alone, with Black Friday growth up by 28 percent to $2.48bn. The holiday season in the U.S. will aim to break online records for e-commerce spend at $72.41bn, a growth of 16.6 percent in the last year, according to eMarketer. To read the full post, click here. The Customer Experience: A Journey Best Understood in Reverse? : Even after decades of study, the “Customer Experience” remains a top focus for large and small companies alike. Work from McKinsey about the consumer decision journey (references below) is just one of many recent examples. Millions of dollars and labor hours, and prodigious efforts, are spent on the subject. From time to time, clients ask—usually around the annual budget-setting cycle—“What should our priorities be in evaluating customers’ experiences? What’s the first, most important thing we need to understand?” To read the full post, click here. Using Consumer Insights to Make Smarter Business Decisions: We sat down with Kelly Harper, Director of Customer Experience Learning at BMO INSTITUTE FOR LEARNING, to discuss how the power of consumer insights help to make smarter decisions in business. Harper goes into how important customer experience is when it comes using customer insights to make the best business decisions possible. You need to think about what type of experiences your organization is giving your customers. Your consumer insights allows you to understand what is broken in your current experience you are delivering and what is really important to the customer – what are those elements that you have to get right each and every single day. Consumer insights will help you identify and keep track of what is most important to the customer. To read the full post, click here. Why Your Brand Needs Social Customer Service: These days, customers aren’t calling your 800 number. Instead, they are getting on Facebook and complaining about you or sending a Tweet about your lousy service. Social customer service is a very different ball game with unique practices, plans and a different timeline. You’d better be listening for online complaints and be ready to respond in real-time or face potentially negative profits. Social customer service emerged because organic online conversations require an immediate response. When a customer complains about you on Facebook or Twitter, you’d better be listening and respond within a short window or poor attitudes about your brand escalate. Social customer service connects your customers with people, both inside and outside of your organization, and with the information they need to solve problems and make better decisions. Not to mention, your customers expect it. To read the full post, click here. Creating a Positive Customer Experience: When it comes to obtaining and retaining customers, remembering what you learned in kindergarten really isn't enough anymore. Now, it hinges on the effective use of social media and other Internet-based resources, according to a new study from Consero Group. Chief Customer Experience Officers will continue to need a variety of new tools and processes to manage the smart consumer effectively and retain customers in a competitive marketplace. 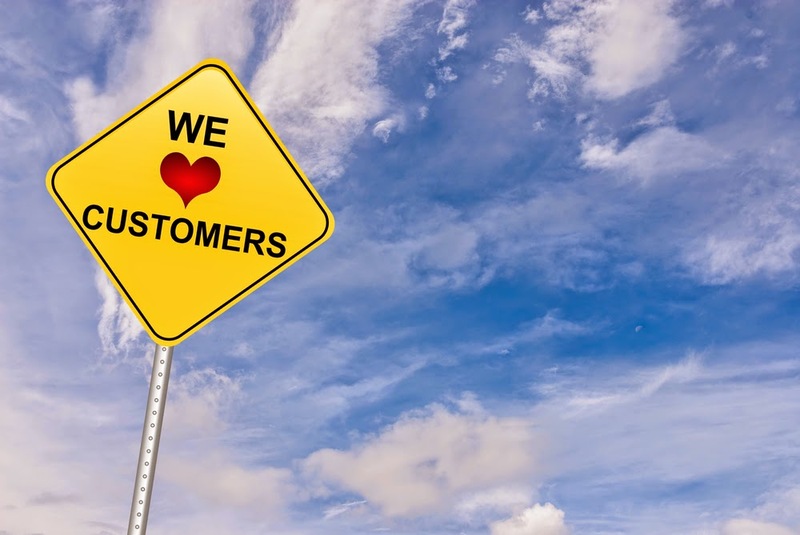 More companies recognize the importance of positive customer experience to overall success. But even though budgets and staff sizes are increasing in many firms, many CX executives still lack sufficient resources to run their departments well. To read the full post, click here. The Power of Personality at Work: We caught up with John Mayer, renowned Professor of Psychology, the University of New Hampshire and Author of Personal Intelligence. We express our personalities in almost everything that we do – in both our personal and professional lives. So, every single day we exhibit some patterns of behavior that are consistent and sometimes respond to particular context. According to Mayer, personal intelligence is the intelligence we use to understand these personalities – whether they in other people or in ourselves. Virtually any organization today is made up of people, so you can think of the organization as an organizational chart, including Presidents, CEOs, managers, etc. “Personal intelligence deals with information at a different level than that,” explained Mayer. “Instead, on top of that organizational chart are real people.” To read the full post, click here. Customer Experience Conversations: Crystal Collier: we sat down with Crystal Collier, CEO of CX Act, formerly TARP Worldwide. CX Act has pioneered the science of quantifying, managing and optimizing the customer experience and has remained a leader in the CX market since 1971. 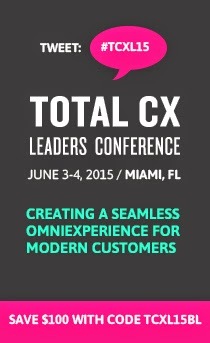 Today, through its innovative research, technology and customer interaction programs, it continues to set the standard to improve clients' customer service performance, customer value and "The Profit of Interaction.” According to Collier, without considering empathy—from the C-suite to the frontline employee—delivering a superior CX is nearly impossible. Customers are driven largely by emotions, and their behaviors result from feelings. To read the full post, click here. Customer Experience Conversations: Nestor Portillo: Nestor Portillo, Director, Social Communities and Customer Experience at Microsoft shared his best customer experience, the importance of empathy, and how social media has affected customer experience today. According to Portillo, customer experience is a combination of emotions, memories, expectations, needs fulfillment, timing and effort. All of these are important add-ons to your product or service. So, in order to deliver a great customer experience, it needs to have a high degree of empathy and emotion because the interaction goes beyond product functionality or a feature explanation. To read the full post, click here. Customer Experience Conversations: Janet LeBlanc: Janet LeBlanc, President of Janet LeBlanc + Associates Inc. LeBlanc discussed how empathy and emotion has a critical impact on customer experience today. According to LeBlanc, the best customer experiences are those that elicit the strong positive feelings and emotions that strengthening the relationship and loyalty a customer has with a company. Statements such as: “I felt like she understood what I wanted or they treated me with respect” are the best examples of a great customer experience. To read the full post, click here. About the Author: Amanda Ciccatelli, Social Media Strategist of the Marketing Division at IIR USA, has a background in digital and print journalism, covering a variety of topics in business strategy, marketing, and technology. Amanda is the Editor at Large for several of IIR’s blogs including Next Big Design, Customers 1st, Digital Impact, STEAM Accelerator and ProjectWorld and World Congress for Business Analysts, and a regular contributor to Front End of Innovation and The Market Research Event,. She previously worked at Technology Marketing Corporation as a Web Editor where she covered breaking news and feature stories in the technology industry. She can be reached at aciccatelli@iirusa.com. Follow her at @AmandaCicc. "Companies with high leadership qualities were six times more likely to be among the top 20 financial performers of all organizations." Want to do your part to launch your organization into the top 20? We are excited to announce that NACCM and the Windsor Leadership Group have partnered together to bring you a truly unique learning event: Creating Magic through Leadership & Service Excellence. 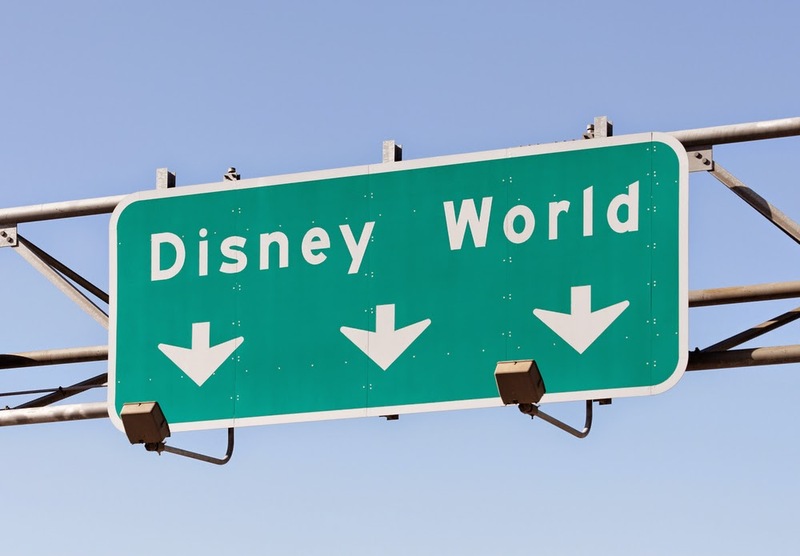 This learning event offers the skills and insights you need to further develop your leadership skills (based on best practices from Lee Cockerell's Disney Great Leader Strategies - used to train over 7,000 leaders at Walt Disney World!) and secure your organization's spot at the top. Facilitator William Greenwald, Founder & Chief Neuroleaderologist, Windsor Leadership Group will lead attendees through self-exploration, Disney-based leadership and service case studies, hands-on learning exercises and group experiences in the Disney theme parks. This experiential journey will lead to personal discovery, authentic leadership development and the ability to design and sustain high performing leadership teams and service cultures. New Registration Savings Just Announced! We're happy to extend a special $500 savings for you to join us at Creating Magic. Register by Wednesday, December 17th to lock in your special savings. In the life sciences industry, multi-social marketing is new to most people. Many assume multi-social marketing is only about applying core creative elements across all communication channels — print, digital, online, and social media. But, it actually interlaces siloed channels and creates immersive experiences that align with the customer journey. According to PharmaVoice Multi-social marketing begins with storytelling - a powerful tool to connect and inspire action that goes beyond facts and data. Effective storytelling engages the emotions of customers and inspires them. The best multi-social marketing initiatives integrate campaigns and leverage best practices from all channels, including print, digital, and social media. The most successful initiatives focus on the needs of different customer segments at each point in their journeys through the channels they prefer. And, the final critical element is the creation of value for customers beyond the prescribed treatment - value beyond the treatment is what keeps customers engaged with a brand. Discovery—Ask questions and gather data to understand current and future customer needs. Assessment— Understand and predict customer needs now and in the future. Market research— Confirm assumptions about unmet needs and predict behavior across all channels. Insights—Transform data through analysis into business intelligence. Short-term optimization—Develop plans to interact with customers that deliver what they need, when they need it, and how they want it. Long-term solutions—Apply the right resources (staff, processes, technology, content) to the work. This piece was contributed by @AmandaCicc. The framework for this learning event is built upon the collaborative efforts of William Greenwald, a leading scholar in the practices of servant leadership, and Lee Cockerell, former Executive Vice President of Operations for the Walt Disney World® Resort and world renown author of three books: Creating Magic, The Customer Rules, and Time Management Magic. The core constructs of this program draw upon William's research and Lee's books, including one of Lee's major and lasting legacies while serving as EVP of Operations at Disney; the creation of Disney Great Leader Strategies, which was used to train and develop over 7,000 leaders at Walt Disney World. As simple as they are insightful, the leadership practices and service excellence "Rules" explored and experientially learned in this two-day magical event make this a "one of kind" leadership experience. The teachings have been shown to work in companies as large as Disney and as small as a local coffee shop. And they have been proven indispensable at all levels of a company, from managers responsible for hiring and training employees, setting policies and procedures, and shaping the company culture to front line staff who deal directly with clients and customers. This high-impact, highly engaging learning event will be led by William Greenwald. Over the course of two days, William will immerse leaders into the principles of extraordinary servant leadership and Lee's leadership framework taught at Disney. Through the use of self-exploration, Disney-based case studies, hands-on learning exercises, and group experiences in the Disney theme parks, leaders are guided through an experiential journey leading to personal discovery, authentic leadership development, and the ability to design and sustain high performing leadership teams and service cultures! Of most importance, leaders attending this event will leave with an evidenced-based roadmap required to "Create Magic"! We hope to see you in Disney World!